From construction companies to mining, utilities, defence and transport; Australian industries need to stick together. You might have read that the Victorian government has recently pledged to use all Australian manufacturers for 50% of future trains. It’s a step in the right direction. But it’s not just the trains we need to consider. Railings, platforms, grating and bike racks are all part of Australia’s transport infrastructure. At ABECK, we think there are five indisputable reasons why you should use a local manufacturer for all your engineered structural products. No matter what industry you are a part of, navigating OHSA requirements can be incredibly confusing. 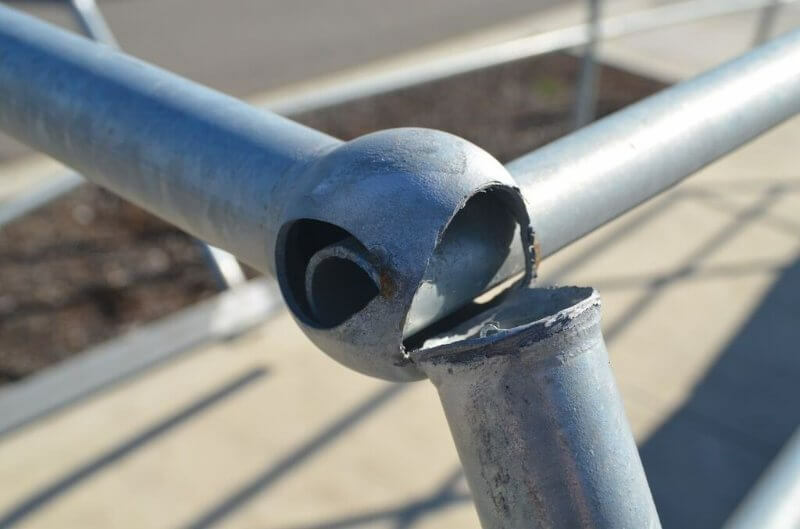 Did you know for example that there are specific regulations that apply to “mobile tubular welded frame scaffolds” as opposed to other kinds of platforms? The good news is that if you buy from a local manufacturer, you will greatly reduce your risk of failing to meet OHSA standards. It also means that you don’t have to waste so much time doing the research yourself. Need to know how many steps you can have before you have to install a railing? Your local supplier can help you. In Australia, every $1 million spent on local manufacturing results in over $300,000 in tax revenue, 10 new full time jobs and $95,000 saved in welfare benefits. All industries are connected and we need to have each other’s back. By supporting your local manufacturer, you are helping to keep money in the Australian economy and create jobs in all kinds of sectors. It’s a flow-on effect that not only benefits your supplier, but will benefit your business too. It might seem like a no-brainer, but if you decide to pay $10 for a bike rack from China versus $100 for an Australian-made one, there’s going to be a huge difference in quality. 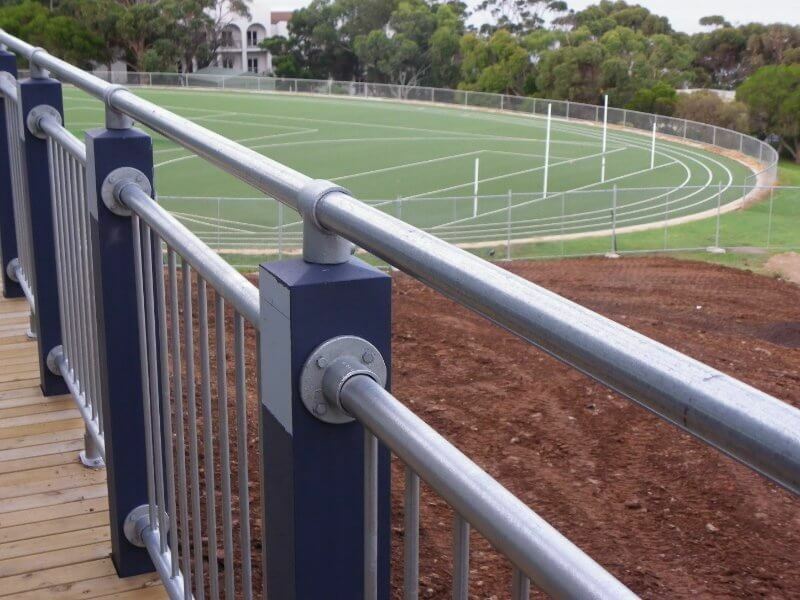 If you are in an industry that requires railings or platforms as safety measures, you obviously don’t want them to fall apart and cause accidents. Don’t let this happen by using cheap, imported steel product. But more than that, you also need to take into account the long-term costs associated with purchasing an inferior product. I’ll never forget an old boss of mine who used to buy the absolute cheapest version of everything- right down to the blender in the staff kitchen. For young Australians who are thinking about learning a trade, having confidence that trade will be there in the future is a vital consideration. If Australia goes overseas for our engineered structural products- there’s not much incentive for future generations to learn the skills. In the UK, local manufacturing has been in astonishing decline over the past 34 years, now reaching an all-time low of 2% of worldwide trade. The current steel crisis is just the most recent example. Not only has it resulted in a running trade deficit since 1982, the local manufacturing decline has caused concerns about the future of worker’s families and the social unity of communities. You’ll probably recall the 2013 disaster in Bangladesh that killed more than 1000 garment manufacturers. Several big-name Australian companies were linked to these kinds of sub-standard factories including Rivers, Coles and Target. In the same year, a few big Airlines suffered a series of electrical problems due to outsourced manufacturing contracts. Losing control of your supply chain can cause a huge amount of damage to your brand, not to mention a very stressed and unhappy communications department! By using an Australian supplier, you will be better equipped to ensure they are complying with your company’s ethics and standards. The bottom line? Choosing an Australian manufacturer for all your business needs makes sense financially and ethically. You will save yourself bureaucratic nightmares, public relations problems and safety issues. Let’s all support each other and push for local contracts. Why not 100% of our trains made in Australia! ?